Winner of the Gold Award at the Spotlight Horror Film Awards, and featuring a superb line-up including Bryan Manley Davis (Sheep Skin), Chris Viemeister (Bridge and Tunnel), David Alexander (Thelema the Equinox Diaries), Kristen Seavey (Nightwing: Escalation), and Anne-Marie Mueschke (Siberia), The Devil’s Well is full to the top brick with bloodcurdling chills. Look for it 1/23 on DVD. TMS: In a few words, what’s the film about? 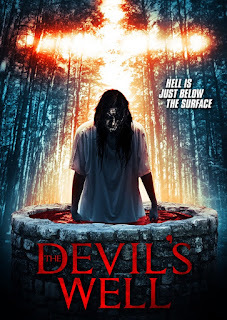 KS: The movie is about a young woman named Karla who goes missing while conducting a paranormal investigation with her husband at an infamous location known as The Devil’s Well. A year after she disappears, her husband recruits a team of paranormal investigators to head back to the location to see what they can uncover. The movie is told in two parts. The first part is setup like a faux-documentary, consisting of interviews with Karla’s friends and family about her disappearance. 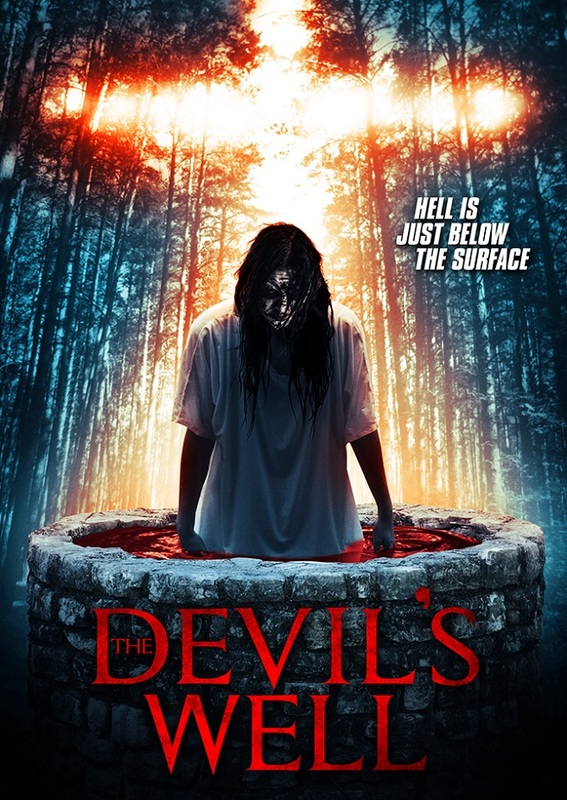 The second part is more found footage style, showing the investigation by the paranormal team at The Devil’s Well. TMS: Always been a fan of the genre? KS: I’ve been a horror fan ever since I was a young. I grew up during the golden years of the VHS era where mom and pop video stores were everywhere. At first, I was mostly into action movies, but it didn’t take long for me to branch out into the world of horror. One of the first movies to help transition me from action into horror, was Predator. I remember being mostly impressed by the gore sequences in that movie. They didn’t scare me, in fact I wanted to see more. I then started renting more horror movies, and I’ve been a fan ever since. TMS: Have you discovered any unlikely fans or segments that you didn’t count on? KS: The Devil’s Well is definitely more of a found footage, which is something new for me. 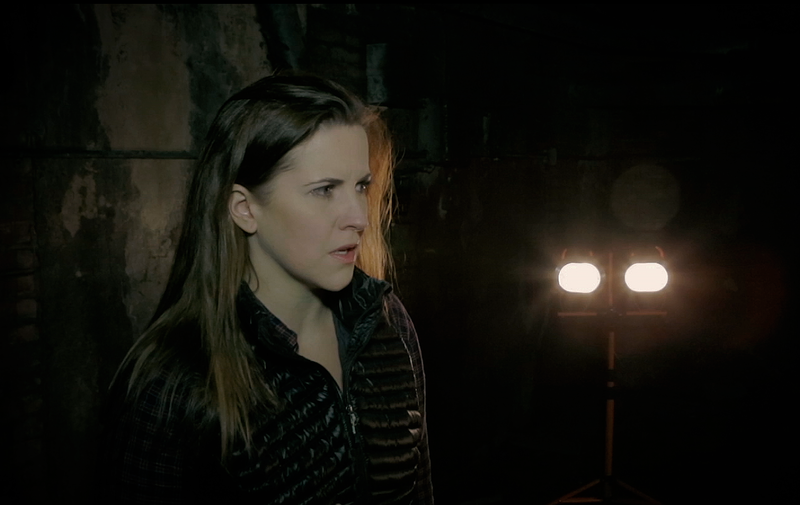 To be honest, I never really thought that I would make a found footage movie. Not that I have any problem with them, it’s just not something I was interested in doing. However, the style seemed to suit the story, so I decided to make it that way. Since then, I’ve discovered that there are some fans out there that really love the found footage sub-genre. Sometimes, found footage movies get a bad rap, but it’s really cool to see that it has become its own sub-genre with its own fans. TMS: How important are reviews to you? KS: Reviews are always important to me. As a filmmaker, I’m always trying to learn more and grow creatively. The only way to really do that is through feedback. There are two different types of reviews, critic and user reviews. I think both of them have their own merit and they both come with their own pros and cons. I’m trying to take the feedback that I hear, both good and bad, and use it to improve. This is my second feature, and I’m hoping to make more in the future. The only way for me to be successful is to make movies that people want to see. TMS: Besides what it’ll do for your career, are there any standouts involved in the film that you believe will see a real career boost from being involved in it? KS: Honestly, the majority of the cast was really great to work with. I was lucky to get some really talented actors, especially those that played the paranormal investigation team. Each of them brought their own individuality to the roles that I think help them standout and not be so cookie-cutter. However, the real standout to me is actor Bryan Manley Davis. He played Karla’s husband in the movie. We’ve worked together on several short films and he was also in my first feature Sheep Skin. I’ve been wanting to give him the lead role in a movie for a while, because he deserves it. I just needed the right part for him and I was glad that it could be this one. He did an excellent job, and I’m hoping to continue working with him on future projects. TMS: Have doors opened for you as a result of it? KS: This is my second feature film and I’ve definitely noticed that things are starting to move forward. I feel like it takes a couple of movies to prove yourself. My first film, Sheep Skin showed that I was capable of making a good movie. Now, The Devil’s Well has shown that it wasn’t just a one time thing. The reviews have been really positive so far, and I think people are starting to take note. 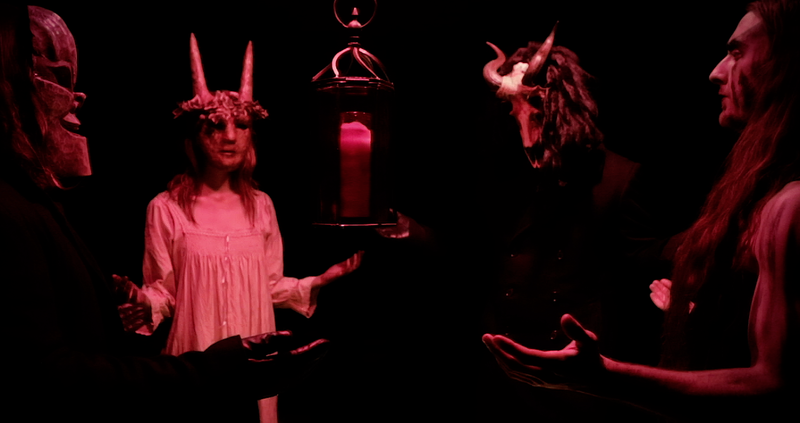 There already seems to be more happening for me now that The Devil’s Well is starting to get recognized. TMS: Would you compare the storyline to anything we’ve seen in earlier films? Anything you can say is an intentional homage? KS: I always try to do something a little different with all the movies I make. It’s hard with found footage movies because I feel like they only get compared to other found footage movies. I can’t say that there was any intentional homages paid in this movie, but I definitely did my homework when it came to found footage and tried to learn what does and doesn’t work. Some people have compared parts of the movie to Lake Mungo, which I’m cool with. I’m a big fan of that movie, so any comparison is a complement to me. Insert the blank. If you loved….. you’ll love my movie. Lake Mungo. TMS: Has it all gone according to plan for you? Anything you’ll do differently next time around? KS: I think it’s only natural for filmmakers to look back at a movie once it’s done and see the things that they could’ve done differently or improved on. There are definitely some things in the movie where I say to myself “I could’ve done that differently” or “maybe I should’ve tried this”. But, in the end they’re only small things that I can use for myself as teaching tools for future movies. Aside from that, I’m very happy with the feedback that the movie seems to be getting. TMS: What’s ahead for you? KS: With The Devil’s Well about to come out, it’s now time for me to start putting my focus on my next movie. I’ve got plenty of scripts written and ready to go. It’s just about figuring out which one will be next. I’m talking to a couple of companies now, so hopefully I will be back in the director’s chair sometime this year.